As this will be my last post before I leave for three weeks in Africa I wanted to hit another North American conservation issue which has interested me since I was little. I have always been interested in the discrepancies in the way people view wild dogs and wild cats. All through history people have wanted to compare themselves to large, wild cats, Richard the Lionheart for example, as a sign of power, strength, bravery, etc…. However wild dogs are demonized, the big bad wolf. In an effort to protect cattle and deer this ideology led to the eradication of wolves from the lower 48 states. Even some of the leading biologists of the time believed wolves needed to be eradicated to boost the number of deer. Aldo Leopold himself, the father of wildlife management, at one point bought into this belief. However, large canids such as wolves are necessary for a healthy ecosystem. In his short story, Thinking Like a Mountain, Leopold describes the moment he realized this idea was wrong. Wolves were one of the first species listed after the Endangered Species Act was passed in 1973. 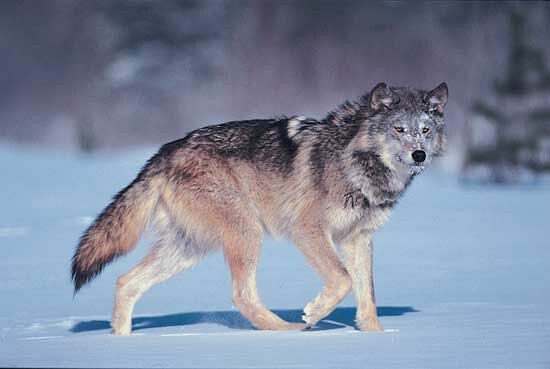 While the ESA called for a recovery plan of all listed species, wolf recovery did not begin until the 1980s. In 1982 gray wolves, Canis lupus, after 50 years of absence were reintroduced to the Rocky Mountain area (Smith). A second round of reintroductions started in 1995 for central Idaho and Yellowstone National Park. The original restoration plan called for the establishment of 3o or more breeding pairs and 300 or more individual wolves amongst the three areas (Smith). Recovery efforts have been very successful. 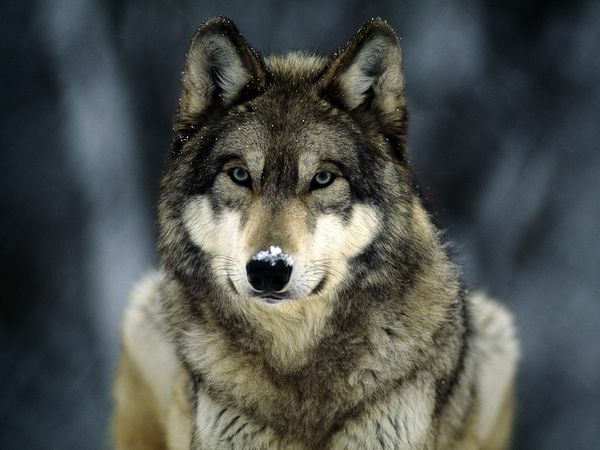 According to the US Fish and Wildlife Service there are an estimated 6,100 gray wolves in the lower 48 (FWS). As a side note there are anywhere from 7,700 to 11,200 gray wolves in Alaska, but this population was never classified as endangered like the wolves from the lower 48. With the successful recovery, management of wolves has once again been handed over to state wildlife agencies. This has caused a considerable amount of controversy though. Most states are enacting wolf hunting seasons, which has many in an uproar. This concern is valid as hunting by humans caused the original extirpation of wolves. However, the original persecution of wolves took place in a time when many states did not have legitimate game departments or laws concerning wolves. In those days wolves were accepted as vermin and it was considered a responsible citizens duty to shoot them if possible. Modern conservation on the other hand employs scientifically based quotas or bag limits to protect species from over harvesting. I firmly believe that regulated hunting is necessary. This is due to the effect wolves have had on elk populations. Just in the central Idaho region before wolf reintroductions there were 16,000 elk. Now the elk have been knocked down to 4,000. However let us not jump to conclusions and blame only the wolves. The decline is mainly due to one particularly harsh winter in which an estimated 8,000 elk were lost. The problem is, that with current wolf populations the elk have not been able to bounce back. Hunting is necessary to correct the balance. Quotas must be set to reduce the wolves low enough to allow elk recovery without threatening the over all survival of the wolves as well. Leopold, Aldo. “Thinking Like A Mountain.” Sand County Almanac. Smith, Douglas et al. “Survival of Colonizing Wolves in the Northern Rocky Mountains of the United States, 1982-2004.” Journal of Wildlife Management. 74 (2010): 620-634.